As much as I want Winter to be done and over with, I am actually missing the snow. We haven’t gotten much snow yet this year, although it’s been freezing! With daylight savings time, it’s already dark by 5pm. When there’s snow on the ground, it reflects the light and actually makes it look brighter outside. I think that’s what I miss.. the brightness, not the actual snow! 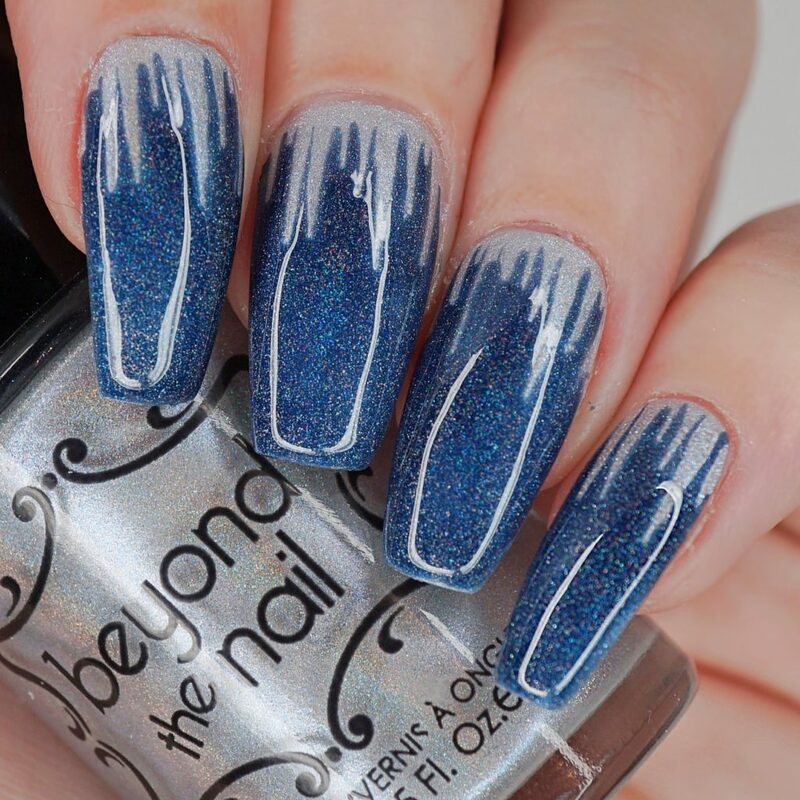 Either way, the need for more “Winter” weather is definitely strong, hence these Winter Icicle Nails! I started by painting all my nails with two thin coats of Beyond the Nail – Ghost of Christmas Present. 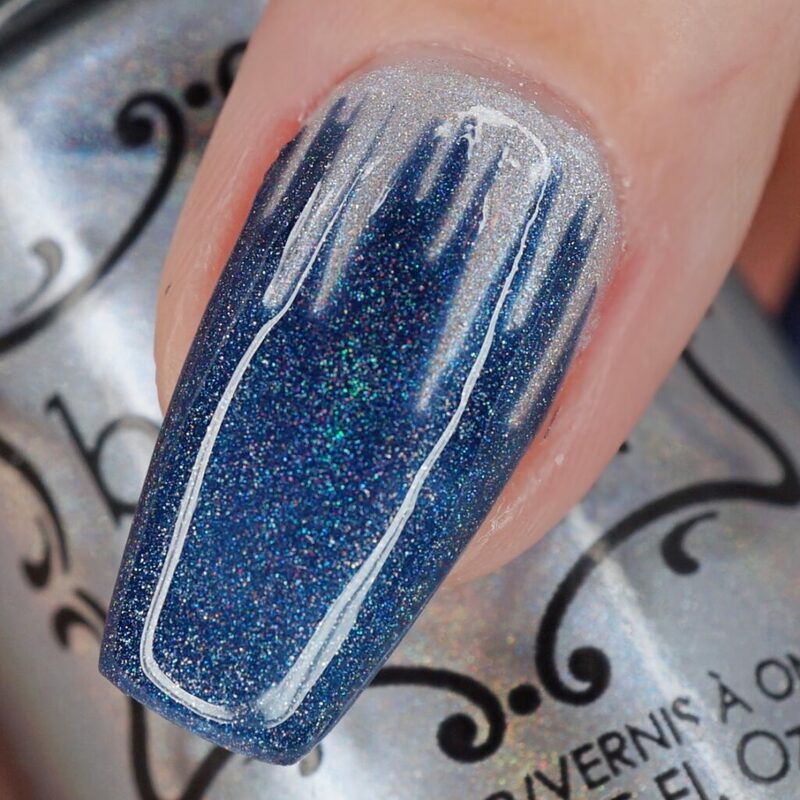 When it was fully dry, I placed an Icicle Nail Guide on the top of each nail and painted over the rest of the nail with one thick coat of Beyond the Nail – Sloteazzy. I gently peeled away the nail guide while Sloteazzy was still wet so it would leave crisp lines. To finish this look off, I painted one coat of OPI – Start to Finish over each nail. 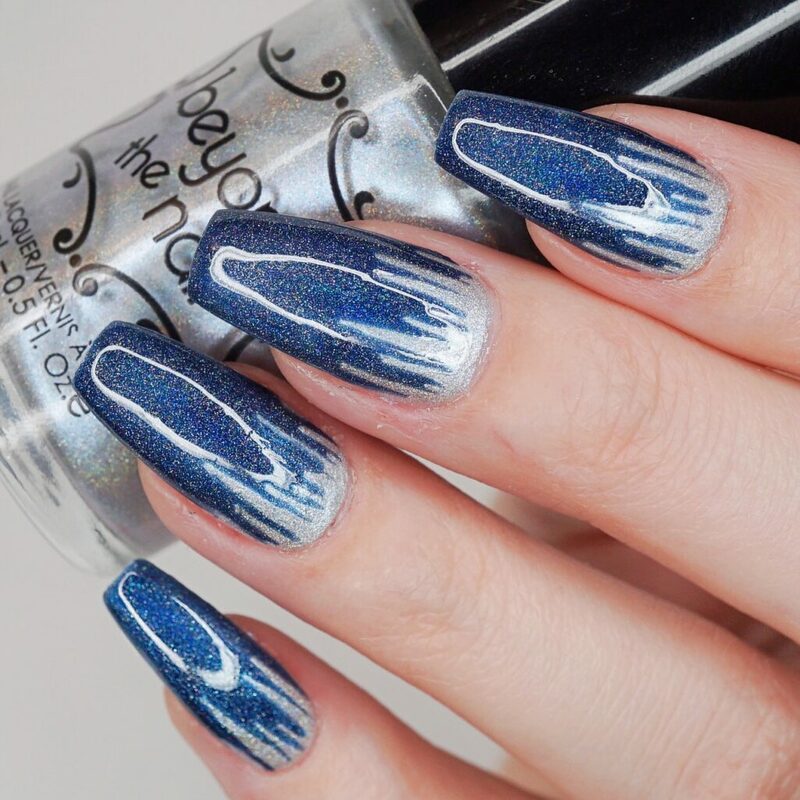 What do you think of these Winter Icicle Nails?